One of the worst games ever made is now the hottest commodity that a New Mexico city must determine how to distribute. More than 1,300 Atari games — including 28 copies of the coveted “E.T. : The Extra-Terrestrial” — and Atari consoles were unearthed last month in Alamogordo. City officials are now devising a plan to decide who will get the games, and, if they are sold, the prices, said Matt McNeile, assistant city manager of Alamogordo. Collectors and fans have been inundating the city with inquiries, especially about the “E.T.” units, McNeile said. The games and consoles were discovered April 26 after LightBox Entertainment and Fuel Entertainment pursued the dig for a documentary. For years, it had been speculated that some of the games had been buried in the New Mexico landfill. Well, the urban legend was true, and now people are clamoring to get their hands on [them]. A draft plan for distribution was issued to city staff Tuesday, McNeile said. “A final plan should be set by June 10,” he said. An array of businesses and organizations, including the Smithsonian Institution, also expressed interest in obtaining some of the finds. “We want to make sure we have some on display. When they came up, they became artifacts,” Chris Orwoll, division director at the New Mexico Museum of Space History, said of the games. An important component of the Alamogordo museum is pop culture, and because the bizarre find was in the museum’s own backyard, Orwoll said it makes sense his organization would offer its curating services. Joe Lewandowski, a consultant for the film companies, told the Alamogordo Daily News the dig cost more than $50,000. The film companies will get a portion of the games, which was in their contract for the dig, McNeile said. 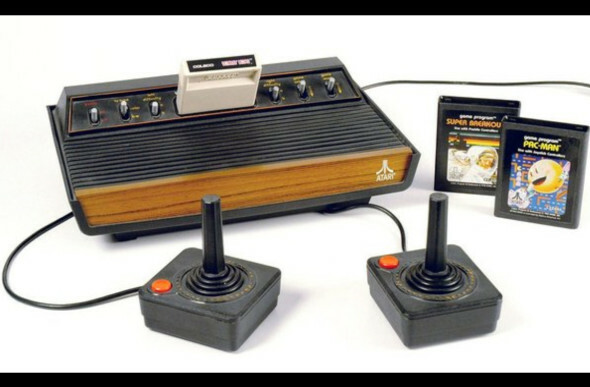 The games and consoles were buried in the Alamogordo landfill out of convenience because Atari’s plant was in nearby El Paso, Orwoll said. A downtown Denver, Colorado tattoo removal clinic is helping heavily inked ex-convicts turn their lives around. The ‘What Were You Inking’ clinic provides pro bono tattoo removal for the Colorado Department of Corrections. Such programs are becoming more common across the country. In California, for example, district court Judge David O. Carter launched a program last year for ex-cons and gang members to have their tattoos removed. Tattoo removal can make it easier for ex-cons to find employment. ‘The taking of tattoos that are gang (symbols) off your body is a statement of finality that you’re done with gangs … they become an advertisement for a formerly very tough gang member who’s turned their life around,’ Carter told The OC Register. 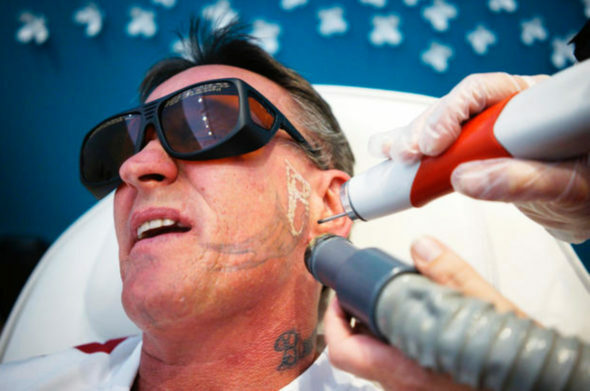 James Ward has a tribal tattoo removed from his face with a laser at “What Were You Inking” clinic in downtown Denver on April 18, 2014. 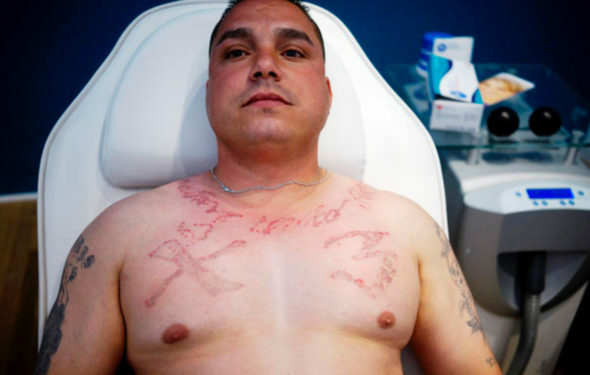 Vincente Montano relaxes between laser treatments to remove the “X 3” tattoo on his chest showing allegiance to the Mexican mafia. In an unlikely protest, hundreds of French have taken to the streets to demand the opening of a McDonald’s in their town. 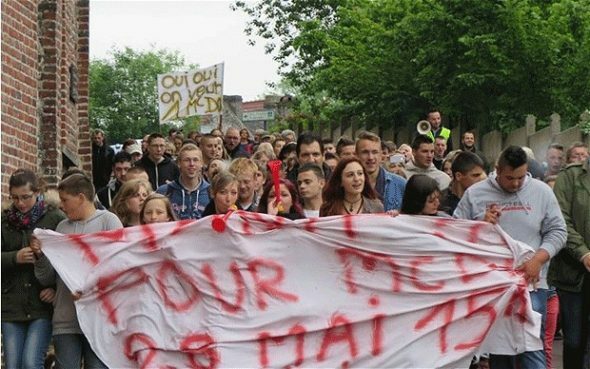 The residents of Saint-Pol-sur-Ternoise, near the northern city of Lille, marched to call on local authorities to back down on their decision to suspend the construction of the new outlet. The McDonald’s was nearing completion on a site on the edge of town when authorities suddenly decided that it did not comply with zoning regulations and ordered building work to stop. That infuriated locals, who were hoping the new restaurant would provide badly needed jobs as well as adding to culinary and social life of the small town. Despite often loudly expressed snobbery about McDonald’s the French have fallen in love with the fast-food chain and the country is the second biggest consumer of Big Macs outside of the United States. McDo, as they call it in France, has 1,300 outlets in France and has drawn in new customers by Frenchifying its range, offering products like the Alpine burger and the McBaguette. When its rival Burger King returned to France last December after an absence of 15 years, there were queues stretching far outside the door at its first Paris outlet. Upscale hamburgers have also become a staple in the menus of many French restaurants and brasseries. Three quarters of traditional French restaurants now sell hamburgers, which are threatening to overtake the baguette as the country’s staple sandwich, a recent study found. Nearly half of all sandwiches sold in France last year were burgers, up from one in nine in 2000 and one in seven in 2007, according to research by Gira Conseil, an influential marketing and consulting firm. The vogue for burgers is a far cry from the days when French farmer Jose Bové, an anti-globalisation campaigner, and his comrades were sent to prison for trashing a McDonald’s in the southern town of Millau in 1999. That outcome of last week’s protest in support of McDonald’s appears far from uncertain. Officials say work should never have been started in the first place as the fast food outlet was being built in a zone that was earmarked for industrial and not commercial activities.